Given how infuriating it is when people without a blue badge park in a disabled space, it’s about time somebody came up with a way to stop selfish people from stealing parking spots. Now, a charity in Russia has stepped up and come up with a brilliant and creative method to prevent able-bodied drivers from taking disabled parking spaces. Basically, when a driver without a badge tries to park in a disabled space, a hologram of a person in a wheelchair appears and gives them a good old telling off. 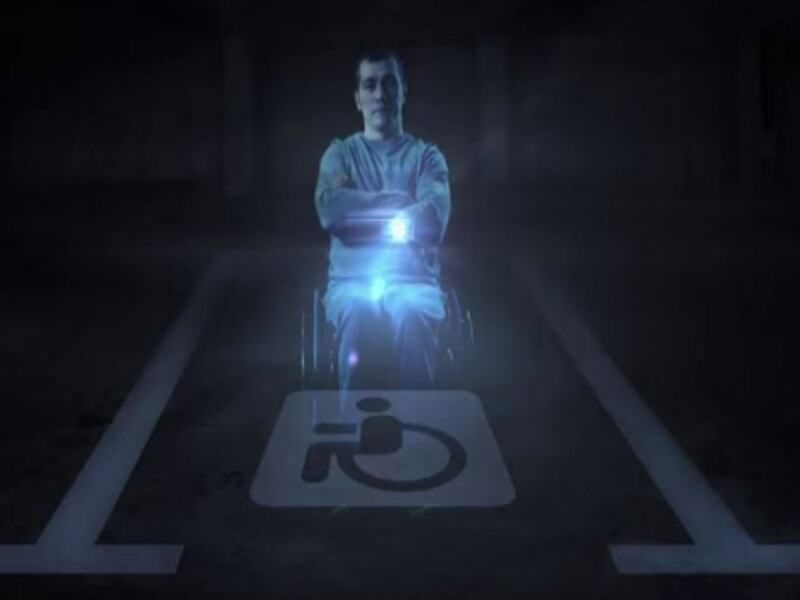 Cameras detect whether cars are displaying a badge in their windscreen and, if not, the projected image of a wheelchair bound man appears and tells them to park elsewhere. It’s a pretty ingenious way to fight the problem, and the invention comes not a moment too soon if the statistic in the video is anything to go by – apparently, more than 30 per cent of the drivers in Russia “take disabled parking spaces without caring about the signs on the ground”. Those drivers are going to get a bit of a nasty shock the next time they try and nip into one of these spaces. Let’s hope those holograms teach them a lesson!